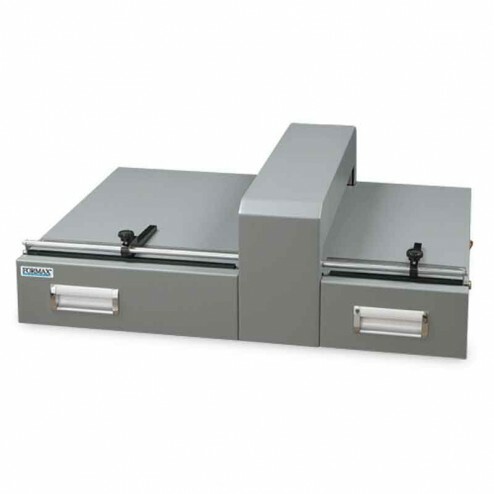 The Formax FD 215S Semi-Automatic Creaser saves time and money. The Semi-Automatic Paper Creaser offers easy setup with push-button or hands-free foot pedal operation. Creasing prevents tearing and cracking in toner-based digital printouts, providing a clean professional look, and making it easier for folding devices to fold with accuracy.